Prague had the honor to host the 115th Anniversary of Harley-Davidson from the 5th-8th of July 2018. This event captured the interest of riders from all over the world, including Fiji! 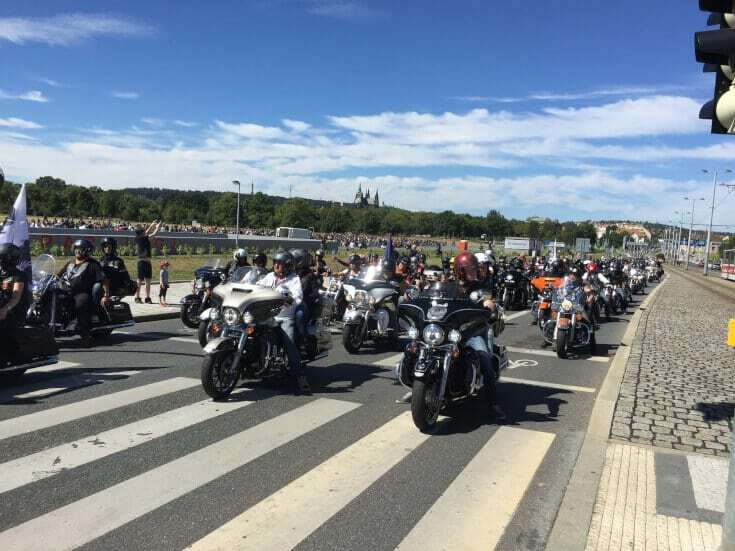 Around 100,000 people came to visit, out of which 65,000 arrived on their Harley’s. This event was a bit of a challenge for the city of Prague as space is limited, especially when it comes to parking. However, with the help of the officials, everything was organized in a way that enabled the large attendance to fully enjoy the celebration in the heart of Europe. Live music and an amazing Harley-Davidson bike exhibition was enhanced by a rich accompanying program, which included the Rolling Stones concert as well as the European Championship of Muay Thai that took place during the days of the event. C-IN acted as the official provider of accommodation and secured hotels including special treatment for groups, clubs, chapters and individuals that came to visit. We are thrilled to have been a part of such a vibrant event!